Peter Alexander is a leading Australian sleepwear designer brand. 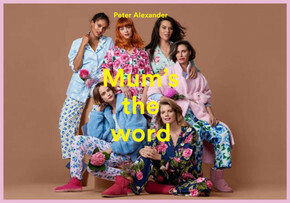 Shop online at Peter Alexander to browse the latest catalogues and weekly ads for the hottest deals on men’s sleepwear, women’s pyjamas, kids PJs, and more. 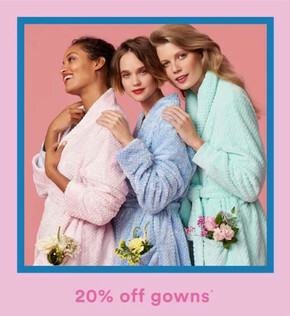 Head to Peter Alexander online and check out a massive range of gift ideas for any special occasion. Shopping for someone in particular? Peter Alexander has grouped their gift ideas into categories to make shopping quick and easy! Search by Gifts For Him, Gifts For Her, Gifts For Kids, Gifts For Pets, and more! Give your loved one sweet dreams with a Peter Alexander Gift Card! Order online and choose from a physical Gift Card or an eGift Card. 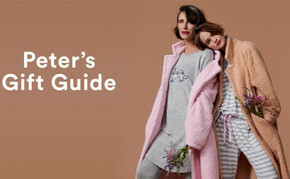 Shop online at Peter Alexander and enjoy a user-friendly website that points you in the right direction for all your sleepwear needs. Browse by gender, New Arrivals, Footwear, Gifts, P.A Pups (accessories for dogs), and Sale items. Join the mailing list and you’ll receive emails keeping you up-to-date with the latest Catalogue Collections and Special Offers. Visit the Shopfully website or app for information on store locations, opening hours, and to browse the latest flyers.